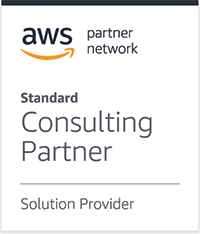 Fiare is a Select Tier Consulting Partner and a Solution Provider partner of AWS and the team holds 50+ AWS certifications. The foundation of our existence – our reason to come to work in the morning – is to share our passion for software development and deliver customer satisfaction. Making realistic promises and keeping them is key within our philosophy. If customer has a need that goes beyond our expertise or current delivery capacity, there are a group of partner companies within our network that we can join forces with. We have done this many times. Years of experience in your use. Docker virtualization tools, Jenkins automation server and Terraform infrastructure management tools are some of the tools we have found useful. Smart use of unused capacity – spot instances – may be a key to savings. As a Solution Provider partner of AWS we are able to make competitive proposal from AWS services. For example using spot instances in a smart and automated way. Setting up, developing and maintaining of AWS-infrastructure. AWS training for development teams. What´s your goal? Leave as a note and we will get back to your promptly.